For many families, the decision whether to place older loved ones in a nursing home or to allow them to “age in place,” can be a difficult one. Everyday tasks like bathing, dressing, eating and drinking can become more and more problematic for seniors with declining health and mobility. 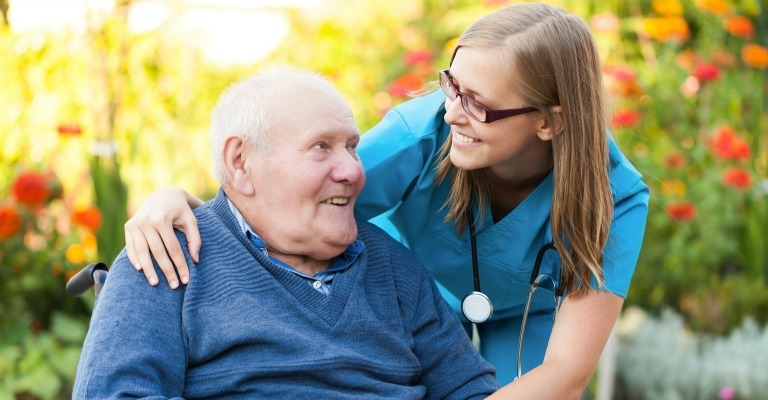 The goal of any nursing home or home care provider should be to ensure that its patients are receiving high quality, compassionate, personalized care. When deciding whether or not a nursing home or in-home care is the best option for your loved one, Freedom Home Care invites you to consider these important points before making your choice. If your loved one has complex health issues that require constant care, emergency medical services or the expertise of a doctor, then perhaps you might consider an assisted living facility. Nursing homes allow patients access to specific services like a licensed dietitian, as well as an on-site network of peers. However, many of the advantages that an assisted care facility offers, in-home care can provide in the comfort and privacy of one’s home. According to research, being in a familiar home setting often means less recurring trips to the hospital, greater success in healing, and an overall sense of security. Patients who are given the choice to age-in-place receive services that are tailored to meet their individual needs, are less likely to suffer from infections, and can be easily monitored by friends and family. In addition to the physical benefits you and your loved one experience, home health care services also offer everything from assistance to daily tasks like cooking, cleaning, shopping and laundry to intravenous and nutrition therapy, home safety inspection and tips, patient and caregiver information and coordinated care. Families often worry about the costs associated with the care of their seniors – whether it’s being received through nursing home services or in-home care. Many times your Medicare health plan will cover portions of qualified, professional home health benefits from a reputable company like Freedom Home Care including physical therapy, speech-language pathology services, intermittent skilled nursing care, continued occupational services and more. The quality of services offered by in-home care providers is comparable to that of a skilled nursing facility, and can be a less costly option to regaining health, while maintaining greater independence.